ALL LEOTARDS AND SKIRTS CAN BE PURCHASED AT ON STAGE IN THE POWERHOUSE MALL AND WILL BE AVAILABLE IN MID-AUGUST. ASK TAMMY OR ANY EMPLOYEE FOR ASSISTANCE. 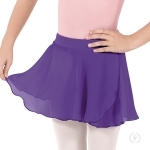 PURPLE Eurotard tank leotard #4489 & matching pull on skirt #10127. GARNET Mirella camisole leotard #m207c & matching pull on skirt #ms12ch. PEACOCK Gaynor Minden camisole leotard #AL128 and matching pull on skirt #AS105. NAVY Eurotard camisole leotard #44822 & Gaynor Minden WHITE skirt #AS102. BURGUNDY Capezio tank leotard #CC202 & Gaynor Minden WHITE skirt #AS102. 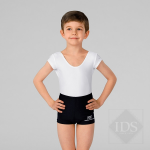 SMOKE Capezio leotard #10483W & Gaynor Minden WHITE skirt #AS102. BLACK Natalie leotard #NC8809 & Gaynor Minden BLACK skirt #AS102. SATURDAY CLASS ONLY: ANY SOLID COLOR LEOTARD, SKIRT AND PINK OR BLACK TIGHTS ARE ALLOWED. BLACK split sole or full sole ballet shoes. Any color leotard, skirt and tights are welcome. Hair is to be pulled back away from the face and securely placed into a bun or french twist. All students must wear pink, convertible tights and ballet shoes should be canvas split sole. NO UNDERGARMENTS ARE TO BE WORN UNDER LEOTARD & TIGHTS.